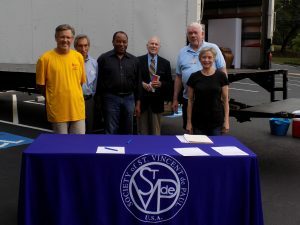 The Saint Jude Saint Vincent De Paul (SVdP) Conference is part of the international Saint Vincent de Paul Society, an organization of Catholic lay persons. Members are dedicated to quietly and discreetly serving people in extreme hardship or distress, with practical, personal assistance, in a spirit of compassion. 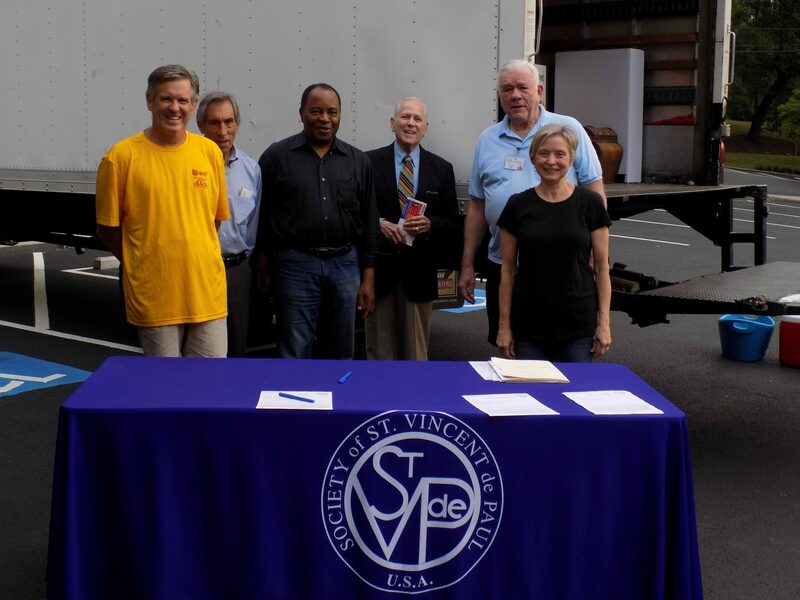 The Saint Jude Conference of the Society serves those in need in our own local area. Those in need of financial assistance can contact us at 678-990-2969 to arrange an appointment with one of our caseworkers. We conduct private client meetings at our offices in Spalding House on Tuesdays, Thursdays, and Saturdays or in the convenience of your home. For more information or to serve, contact the parish Saint Vincent de Paul Society.